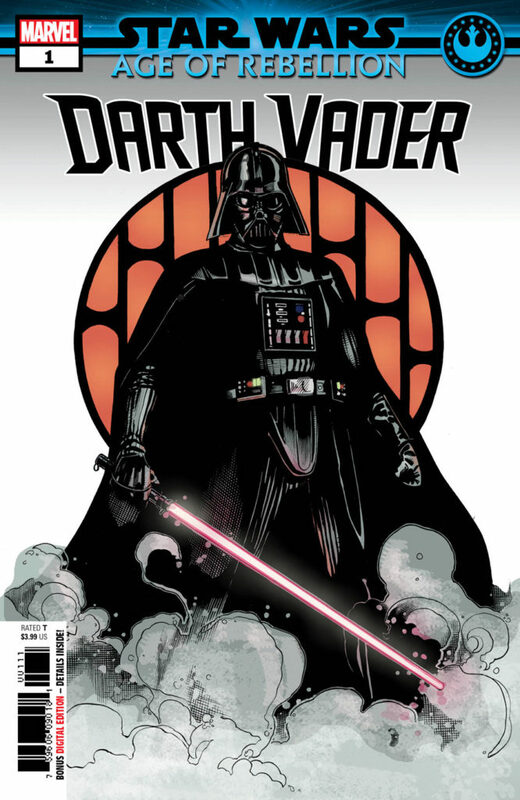 Original trilogy fans, these are the comics you’re looking for. 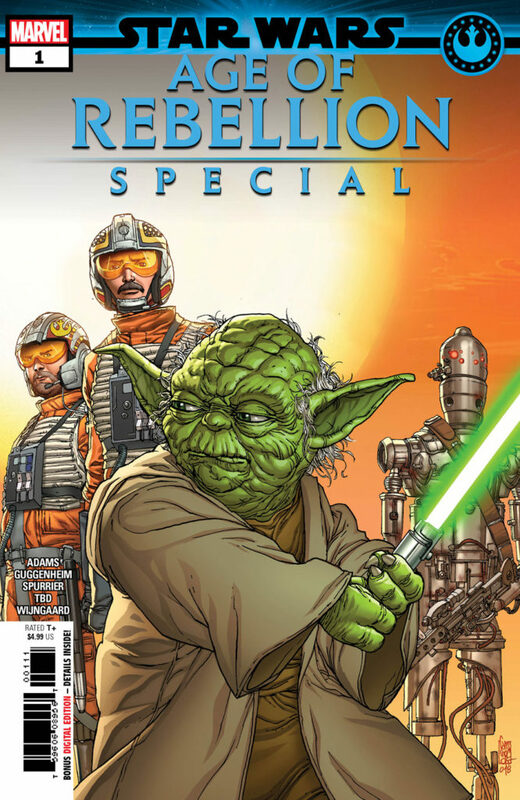 Marvel’s Star Wars: Age of Rebellion, a special series of one-shots written by Greg Pak, will celebrate rebel princesses, Jedi Masters, and more legendary heroes and villains from the time of the Galactic Civil War. While the series doesn’t launch until April, StarWars.com is excited to offer a first look at its kick-off titles. Cover by Terry and Rachel Dodson. 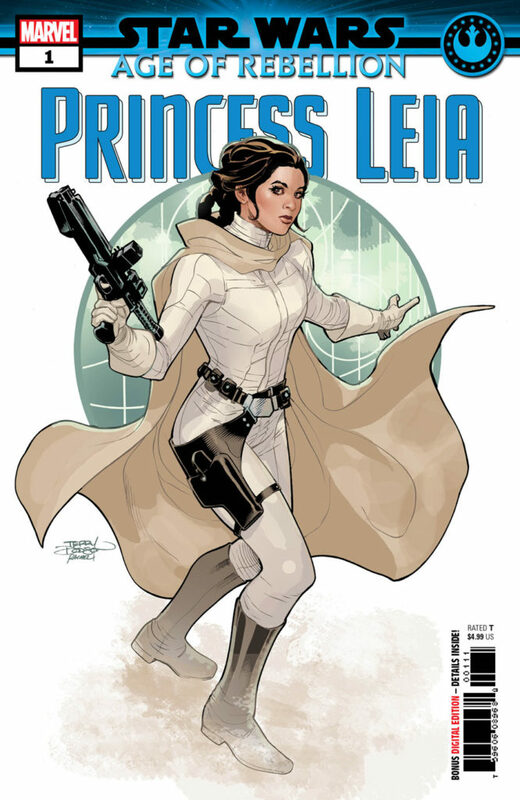 Star Wars: Age of Rebellion – Princess Leia #1, with art by Chris Sprouse, arrives April 3; set following the events of Star Wars: The Empire Strikes Back, the story tells of how Leia prepares for the rescue of Han Solo by taking on the identity of bounty hunter Boushh, and must earn the trust of Bossk. 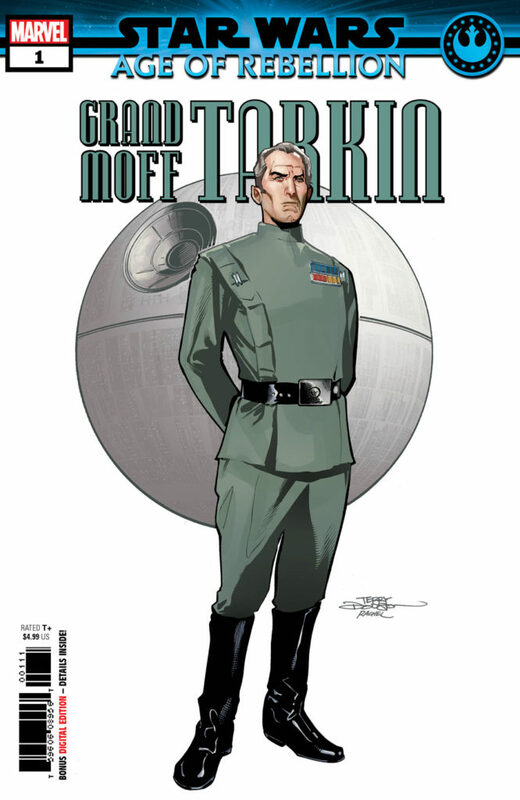 Star Wars: Age of Rebellion – Grand Moff Tarkin #1, illustrated by Marc Laming, hits shelves on April 10 and explores how the Imperial mastermind ensures that the Death Star lives up to its name. Cover by Giuseppe Camuncoli and Guru-eFX. Star Wars: Age of Rebellion Special #1 lands April 10, featuring three stories starring characters both iconic and lesser known: writer Si Spurrier and artist Caspar Wijngaard tell a tale of droid bounty hunter IG-88; a Yoda story set during the Jedi Master’s exile on Dagobah comes courtesy of writer Marc Guggenheim and artist Andrea Broccardo; and writer/artist Jon Adams focuses on rebel pilots Biggs Darklighter and Jek Porkins. The second of three series exploring different eras of Star Wars (the prequel-centric Age of Republic is in stores now, and sequel trilogy-focused Age of Resistance will follow later this year), Age of Rebellion will continue with even more major issues: Han Solo #1, Boba Fett #1, Lando Calrissian #1, and Jabba the Hutt #1 arrive in May, and Luke Skywalker #1 and Darth Vader #1 come to our galaxy in June.